Representatives of National Authorizing Offices of CARIFORUM States and regional organizations/institutions involved in EDF-funded programmes are currently in Guyana for a training programme for projects funded by the European Development Fund. 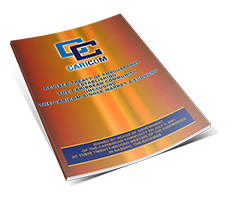 The event is being held at the Grand Coastal Hotel and is being facilitated by the Caribbean Forum of the African, Caribbean and Pacific Group of States (CARIFORUM). It began on Monday and will conclude on 10 October, 2018. 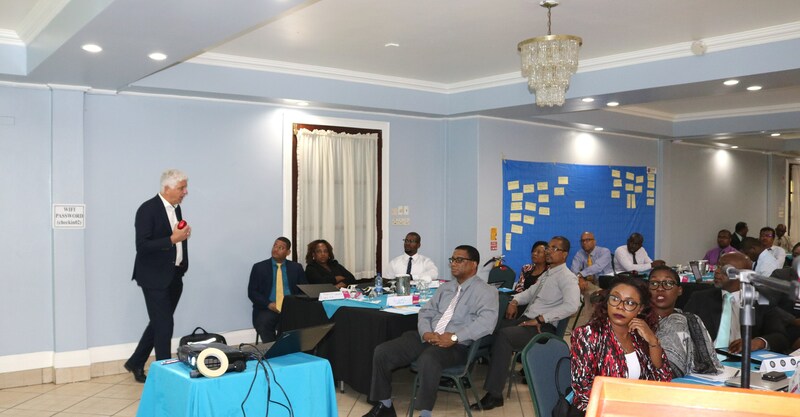 Speaking at a brief opening for the Training Programme, Director, Development Cooperation at CARIFORUM Mr. Eugene Petty, said participants would be able to apply the training to the implementation of projects under the remaining 10th EDF and new 11th EDF Programmes. He said the training was one of the activities identified under a Technical Cooperation Facility of the 10th EDF Wider Caribbean Cooperation Programme. Mr. Petty informed the participants that the 10th EDF Wider Caribbean Cooperation involved two components. The first, he said, sought to strengthen cooperation between CARIFORUM and French Caribbean Outermost Regions (FCORS) and the British and Dutch Overseas Countries and Territories (OCTs) by enhancing participation. He said this included strengthening involvement in INTEREG, an EU Development Cooperation Programme. He said this particular cooperation was being managed by the Regional Council of Guadeloupe. Mr. Petty explained that the second component of the Wider Caribbean Cooperation involved activities aimed at strengthening CARIFORUM-FCOR-OCT Dialogue and Cooperation and also sought to improve programming and implementation of the 10th and 11th EDF programming projects through a Technical Cooperation Facility. This, he said, was being executed through Programme Estimates, which, according to him, was one of the modes/modalities for the implementation of projects and programmes to be discussed during the training sessions. The training will be done in two parts, each five days long. The first segment will focus on European Union project/programme management and design as well as monitoring and evaluation. The second aspect of the training will examine contractual procedures with a focus on service contracts and grant contracts. Mr. Petty advised that a needs assessment was conducted prior to the training via a questionnaire that was circulated to the Regional Institutions in order to determine the approach to the training. He said the training programme that is being implemented was as a result of the needs assessment. “CARIFORUM therefore expects that on completion of this training, all participants will have a better understanding of EU-funded projects and modalities for project management” said Mr. Petty. He said further that it is expected that participants would learn about EU procedures including issues related to eligible and ineligible costs. He said their skills in project development and management would also be strengthened. A certificate of completion will be awarded to participants at the end of the training. The Training Programme is being funded by the European Union, under the Technical Cooperation Facility of the 10th EDF Wider Caribbean Cooperation Programme.